Through CARES (Children Are Receiving Extended Services), Holy Family offers extended before-school and after-school care until 6 p.m. for students in Full-day Preschool through Grade 6. The program is supervised by members of the faculty and staff of Holy Family School. The C.A.R.E.S. fees for the school year are based on the school calendar with holidays, snow days, and in-service days taken into consideration. The fees are due at the beginning of each month, September through June, and should be remitted to the office. You may include this payment with your tuition check or through SMART Tuition. The Before School CARES session begins at 7:00 a.m. The After School C.A.R.E.S. session begins at dismissal and is available until 6:00 p.m. The program provides time for homework, play in the cafeteria and/or outside on the playground, board games, coloring, and more. A snack and drink are provided each day. All students must be registered in the C.A.R.E.S. program by completing the necessary registration form (below) and paying the yearly registration fee of $20.00 per family. Because of acute demand for these services and limited space, it is advisable to register early to avoid being placed on a waiting list. If your child will be participating in this program for the upcoming school year, please fill out the registration form and return it to school as soon as possible. With prior approval from the CARES director, you may choose to participate in this service on a drop-in basis as space permits. A fee of $25 per afternoon session and $10 per morning session will be assessed for each child. Click on the link below to download the registration form, then print it, fill it out, and return it to Holy Family School. 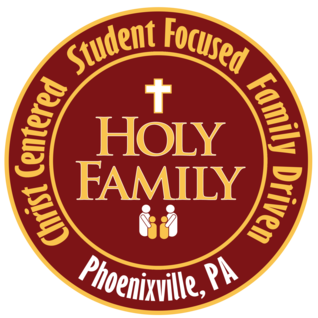 If you have any questions regarding the Holy Family School CARES Program, please contact office@myholyfamilyschool.org.